This useful and informative book offers a detailed overview of Jeet Kune Do practice while explaining the specific moves readers will need to perfect their techniques.As a foundation, the book recalls the origination of Jeet Kune Do — the philosophy, history, and different styles of the martial art. This introduction gives readers an important reference point on how the practice evolved. From there, the book explains how to choose a school, taking readers through their first class including the etiquette and dress requirements. The essential elements of the style — stances, footwork, upper body and lower body techniques, and grappling are all well represented and defined.Building upon this solid groundwork, the book informs readers of the five ways of attack, including the single direct attack, the attack by combination, the progressive indirect attack, the attack by drawing, and the hand immobilization attack. 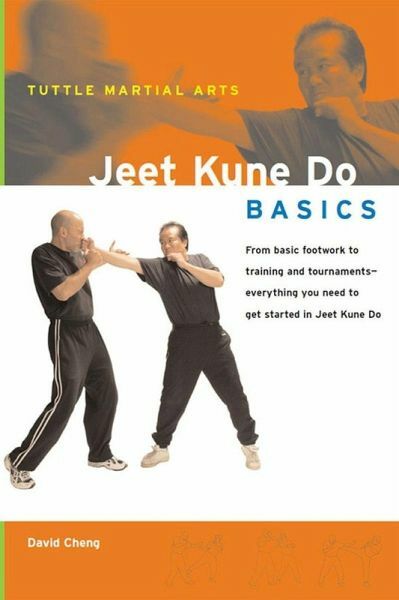 Fighting instructions include the tactical considerations of Jeet Kune Do practice such as defenses, counterattacks, and sparring.The book concludes with a comprehensive list of resources to help students further develop their knowledge of and training in Jeet Kune Do. Thorough compact and easy-to-read, this book gives readers everything they'll need to start their practice of this critical fighting art.